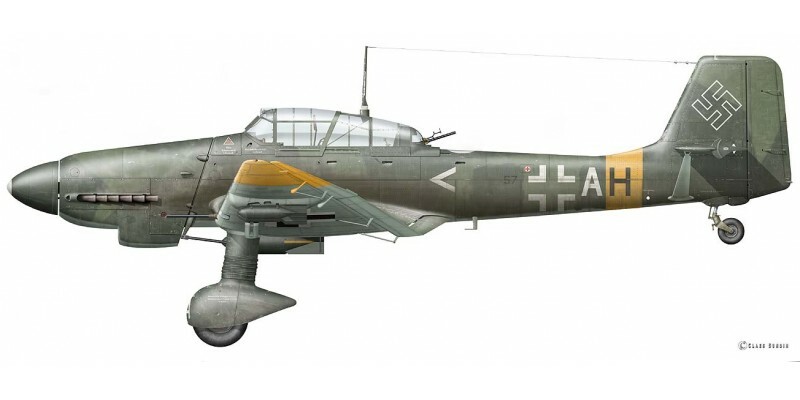 This aircraft was flown by Staffelkapitän, Oblt. Hans Törfer. While stationed in Finland, I./S.G. 3 flew 1200 sorties and dropped 540 tons of bombs in support of their Finnish allies. 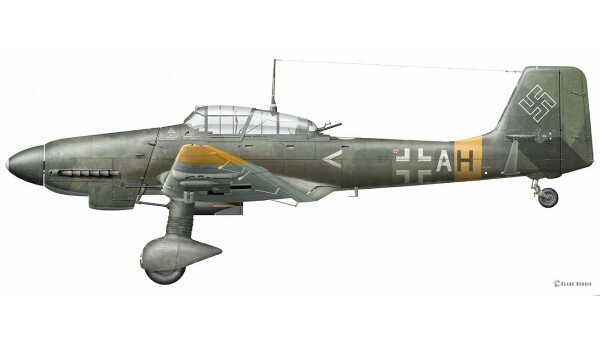 The Gruppe lost 15 Stukas during this deployment, with nine crewmembers MIA, four WIA, and one KIA. Note the upper windshield mounted Stuvi 5B bombsight in the cockpit.